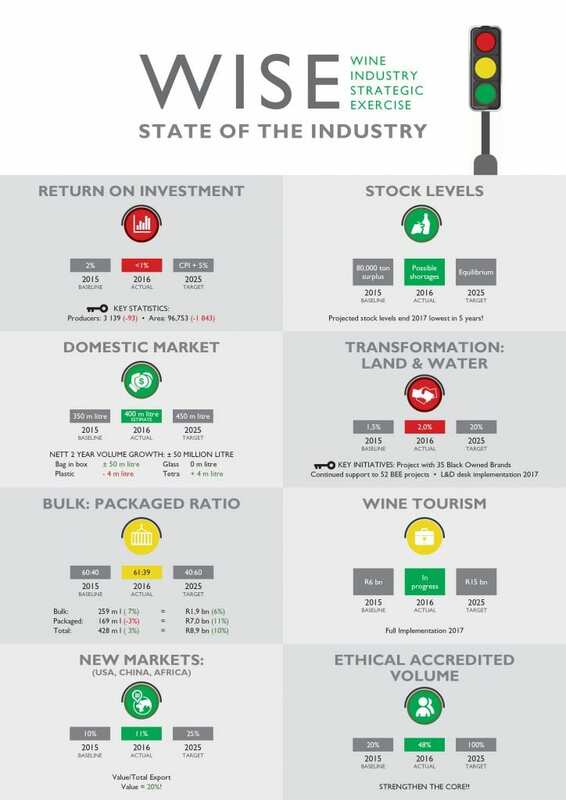 At the Nedbank VinPro Information Day on 19 January 2017, MD of VinPro Rico Basson gave an overview of the state of the wine industry as per the respective focus areas of the Wine Industry Strategic Exercise (WISE). WISE State of the SA Wine Industry. In 2016 the average return on investment at producer level reduced to below 1%, largely driven by the prolonged drought in certain regions, stagnant wine price and cost inflation. VinPro’s research reflects that only 13% of the 3 300 producers farmat sustainable income levels, 44% are operating at breakeven and 40% are making a loss. 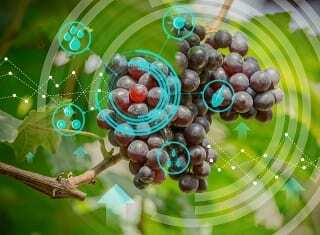 The nett result is that the total number of grape producers and area under vineyard have declined to 3 139 and 96 753 ha respectively, with subsequent job losses. It is interesting to note that minimal consolidation at winery level has yet occurred. The local market has grown more than 14% or with 50 million litres over the past two years to more than 400 million litres at the end of December 2016. This growth has largely been driven by the bag-in-box segment. While this is positive to expand the consumer base, from a value perspective more than 80% of local wine volumes are still sold below R26 per litre and less than 5% of volume above R65 per litre. This ratio has weakened due to the continued growth in bulk exports and declining packaged volumes. Packaged products has, however, grown by 11% in value and total exports has achieved a record R8,9 billion of export value to South Africa – the second largest of all agricultural commodities. 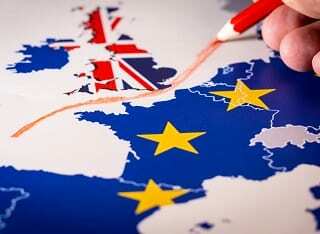 A new EU wine agreement as from January 2017 will assist value growth, with an additional tariff free quota of 110 million litres (versus 48 million litres). There’s a positive shift in volume and value to these three markets with total volume of 11.4% and value (due to its packaged nature) at 20% of total export value. Value growth is led by China with an 18.9% increase year on year. Growth in total market volumes to a new record level and declining production implies that after years of surplus production, supply and demand will now reach an equilibrium. Stock level projected for the end of 2017 will be the lowest in five years, with the stock to sales ratio indicating liquidity of trade and possible shortages of certain categories. Notwithstanding various initiatives to support existing enterprises, as well as new opportunities, the total level of transformed ownership remains low at 2%. Significant progress has been made to assist black owned businesses to expand with funding and support structures formalised. The learning and development desk to coordinate talent development will be launched this year. A strategic framework and structure are currently developed and will be implemented in 2017. A significant growth in tourism numbers currently is due to various private and public sector initiatives. International arrivals at Cape Town airport have increased by 22% year on year. There is significant progress with total ethical accredited production volumes at 48% of the total harvest of 1.4 million tonnes. It is important that this momentum must be continued.